We are humans behind Thought Foundation, not a generic organisation, we are a passionate social enterprise. With an unshakeable 'can do' attitude to life, Gareth is here to help mould the thoughts and amibitions of Thought Foundation. 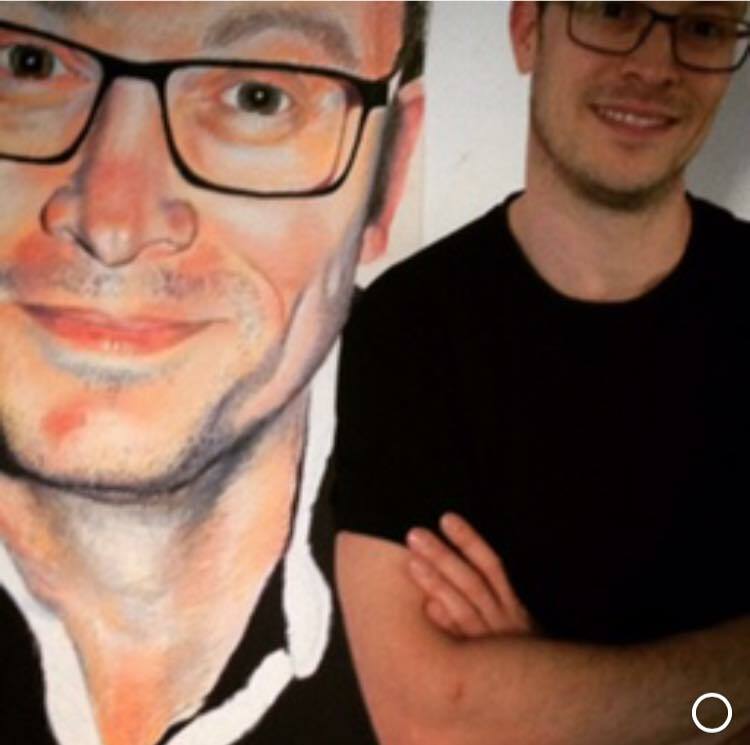 His background is in running an environmental organisation and he is passionate about recycling, upcycling, repurposing from the build through to the events and exhibitions. Artists fascinate him - their passion, energy, skills, creativity, their take on the world. He is hoping that our gallery will boost creativity in our region. Quality art is for all to enjoy. she is a painter and creative. Art is in her bones and according to her, colour does something immense to her insides. She wears a great big pair of imagination goggles and loves turning nothing into something. She is passionate about encouraging quality creatives to work in the Northeast. You will find her front of house, cooking up a storm, curating exhibitions, running workshops, looking after her 2 bambinos and everything in between. She is a jolly soul with a quirky and positive outlook. 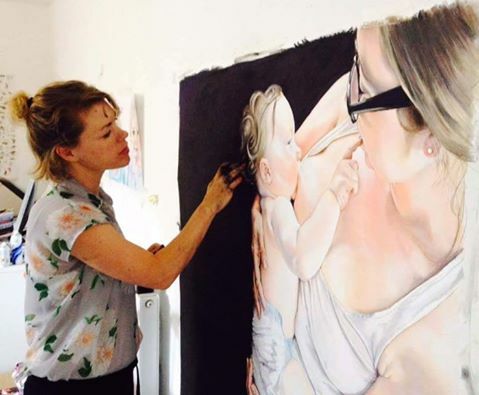 One of her passions is portrait painting... she is pictured here painting one of her artworks from the Breastfeed exhibition. 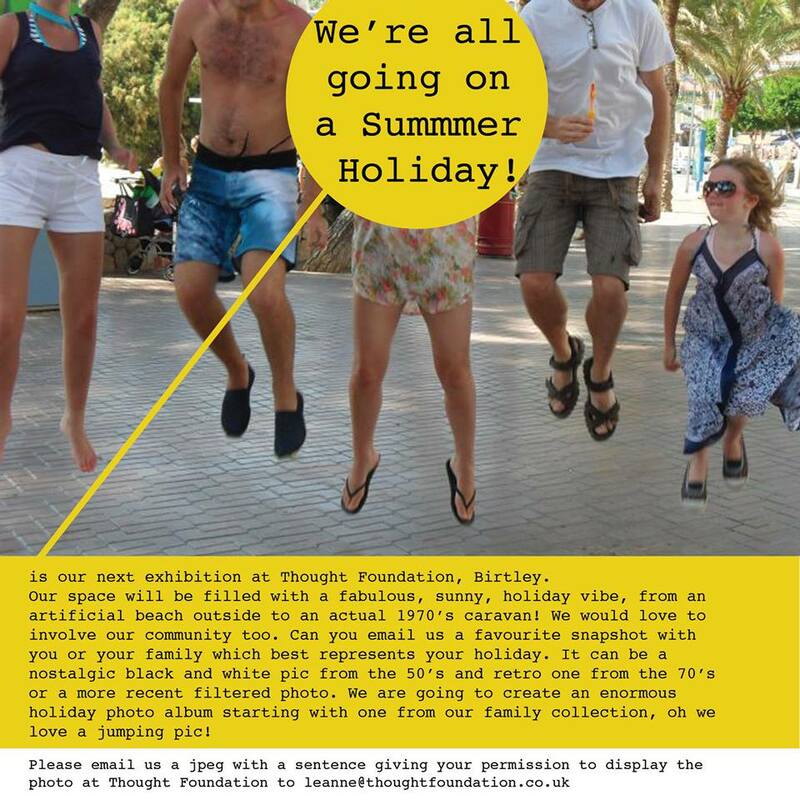 We’re all going a Summer Holiday is our next exhibition at Thought Foundation, Birtley. Our space will be filled with a fabulous, sunny, holiday vibe, from an artificial beach outside to an actual 1970’s caravan! We would love to involve our community too. Can you email us a favourite snapshot with you or your family which best represents your holiday. It can be a nostalgic black and white pic from the 50’s and retro one from the 70’s or a more recent filtered photo. We are going to create an enormous holiday photo album starting with one from our family collection, oh we love a jumping pic!